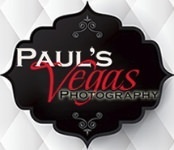 Paul's Vegas Photography enjoys Fashion photography and we have shot for a number of name brands and popular fashion bloggers. Las Vegas offers a number background opportunities and of course we have our studio for a controlled environment. Please feel free to give us a call to discuss your fashion photography needs.